The Samsung Galaxy S4 makes an appearance today in an investment report issued by Korean investment firm Kyobo Securities. 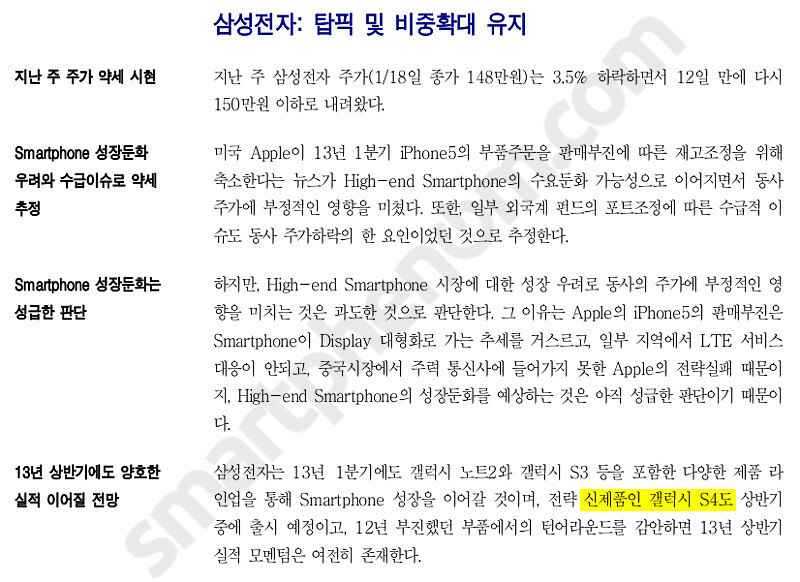 According to the document, the new Samsung flagship will be available during 1st half this year, even though Samsung denied it was on preparation. The report also refers to the allegedly low sales of Apple's iPhone 5 saying the latest model from Cupertino failed to impress because it doesn't follow the "large display trend" of smartphones. But.. wasn't Apple setting the trend?